You may wonder why so much comes out of your pay, where that money goes, and what can be done to change the deducted amount. The good news is that you have some control over your deductions. Payroll deductions perform a valuable service: Without them, taxpayers themselves would be responsible for regularly sending in tax payments to various tax agencies as they earn their income throughout the year. Jerome Borison, who as an associate professor at the University of Denver’s Sturm College of Law teaches courses focused on taxes, said taxpayers aren’t very good at that. Those who—like the self-employed—have no money deducted from their income for taxes often encounter problems when it's time to file their income tax returns. “People (often) end up finding they owe the government a lot of money at the end of the year,” Borison said. The government established the system of payroll withholding to combat “financial dysfunctionality” among taxpayers, ensuring a steady flow of money to the U.S. Treasury, Borison said. The payroll withholding system contributes $1.7 trillion—nearly 72 percent—of the annual revenue of the Treasury, according to the website nationalpayrollweek.com. Still, you may wonder why so much comes out of your pay, where that money goes, and what can be done to change the deducted amount. You can kind of play around with the W-4 to accommodate what your actual tax situation is. The largest withholding is for federal income tax, Medlock said. The money goes for anything paid from the government’s general fund, which covers everything from military expenses to highways. The amount taken out is based on a “gazillion” things, he said, including your gross income and your Form W-4, "Employee's Withholding Allowance Certificate," which you fill out to describe your tax situation for your employer. Other federal deductions fund Social Security and Medicare, the federal health care system for the aged and other groups. The Social Security tax is 6.2 percent of wages for the employee and the same for the employer. Medlock said no Social Security tax is collected on income above a certain income level—$128,700 in 2018. The Medicare tax rate is 1.45 percent on all wages and the additonal Medicare tax of 0.9 percent is withheld on annual wages in excess of $200,000. Forty-one states have their own income taxes, some with flat-rate deductions, like Social Security and Medicare taxes, and others in which the tax is based on a table, like the federal income tax, Medlock said. Localities within 17 states levy taxes that are automatically withheld from wages. Some such local taxes are flat dollar amounts, a percentage of income is withheld from others, and still others use IRS-like tables, Medlock said. In six states and U.S. territories, employees pay disability taxes. Three states have unemployment insurance taxes, and one has a workers' compensation tax. The amount of federal income tax withheld from your wages is based on information that you provide on your Form W-4. You typically complete the form annually, but you may fill out a new Form W-4 at any time, according to the Internal Revenue Service. “You can kind of play around with the W-4 to accommodate what your actual tax situation is,” Borison said. You get to specify the number of allowances that you wish to claim. You may claim an allowance for yourself, your spouse and each dependent child. Filing as head of household provides an additional allowance, as does foreknowledge that you will "have at least $1,900 of child or dependent care expenses" for the tax year. If you qualify for the "Child Tax Credit," you may be able to claim two allowances for each child. A high number of allowances lowers the amount withheld from your check for federal income tax; a low number, down to zero, increases the withholding. Medlock said you may also ask for an additional specific dollar amount to be withheld. The W-4 comes with a worksheet to help you calculate the amount you want taken out. If you enjoy the thrill of a large refund, don’t claim any allowances. Conversely, the more allowances you claim, the larger your regular paycheck will be and the lower your refund. Most tax experts advise you not to go for the large refund because that, in effect, means you’re giving the government an interest-free loan. They advise you to maximize your paychecks and invest the extra money. You also can manipulate your withholding with the W-4 to sock away more money for taxes if you have other taxable income, such as revenue from stocks and bonds or a second job for which no taxes are deducted, according to Borison and Medlock. TurboTax offers a free W-4 Wihholding Calculator that helps you estimate your paycheck withholdings, so you can easily see how many withholding allowances you should take to boost your tax refund – or your take-home pay. 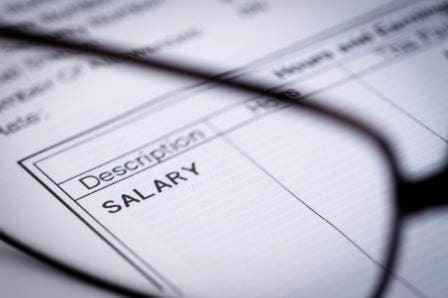 Non-governmental deductions from your paycheck might reduce your take-home pay, but they can improve your overall tax situation. Jim Medlock, director of education and training for the American Payroll Association, said that when employees participate in employer-sponsored retirement programs, the amount of their contributions reduces their taxable wages. Participation in so-called “cafeteria plans,” such as medical, dental and dependent care plans, also may reduce employees’ tax burdens. Depending on how the business structures its benefits, even such expenses as parking may be deducted from your pay and reduce your taxable income, Medlock said.